Sporting a black dinner jacket and a flowing red and gold sari respectively, the couple posted photos posing with Vice President Joe Biden, White House chief of staff Rahm Emanuel and even three uniformed marines. An official White House guest list, which did not include the Salahis, read like a who’s who of the US security establishment. Homeland Security Secretary Janet Napolitano, Defense Secretary Robert Gates and Admiral Mike Mullen, the Chairman of the Joint Chiefs of Staff, were among those invited. Other notables included film director Steven Spielberg, New York Mayor Michael Bloomberg, socialite Jhumpa Lahiri and spiritual guru Deepak Chopra. “Initial findings identified a Secret Service checkpoint which did not follow proper procedures to ensure that the two individuals named… were on the invited guest list,” Donovan said. 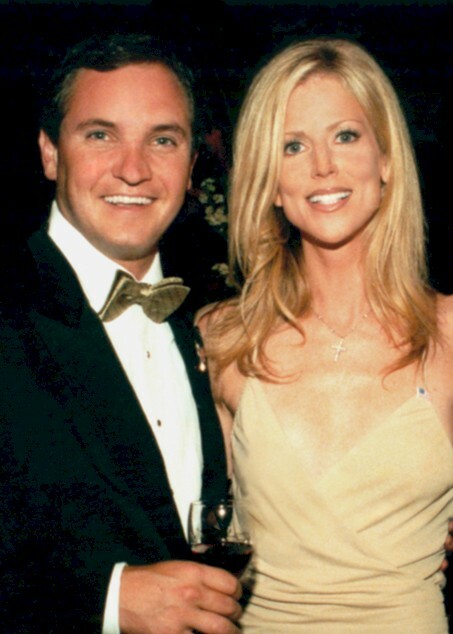 The Washington Post described the couple as polo-playing socialites and aspiring reality TV stars from nearby northern Virginia. The pairs’ other Facebook photos showed a penchant for posing with the rich and famous, with past shots appearing to show them with polo-loving Prince Charles, President Obama, former president Bill Clinton, former presidential candidate John McCain, television stars Oprah Winfrey and Bill Cosby and former astronaut Buzz Aldrin. Michaele Salahi’s photos show her as a former Washington Redskins’ cheerleader and posing in a skimpy dress for the cover of a local style magazine. Former White House homeland security advisor Frances Fragos Townsend said the couple could now face jail for lying to officials. “If you lie to a federal official, either secret service or the social secretary, if they lied their way to get in, and it seems they would have had to have done that, that’s a federal felony,” she told CNN. Irritatingly we cant avoid former Alaska Governor aka Sarah Palin going Rogue, here’s the few things you need to know in case you dont want to buy the book and certainly dont want to be stuck in those fancy boring DC cocktails conversations.Thanks God, The Post has provided a guide to what she said about major public figures, with a special focus on the 2008 presidential campaign. Baldwin appeared with Palin on Saturday Night Live. Palin writes that the campaign haggled with producers and writers to come up with appropriate lines for the two, deciding on something poking fun at Baldwin and his actor brother Stephen, after they turned down a line she suggested to poke fun at the actor’s claim that he would leave the country if George W. Bush was elected in 2004. Palin writes that she respected Biden’s experience, but thought he lacked understanding national energy security and “opposed sensible innovations” on the issue. The book says it was adviser Randy Scheunemann’s idea to ask permission to call Biden “Joe” during their debate, as Palin kept accidentally calling him “O’Biden” in debate prep. Palin recalls Biden’s debate “game face,” remarking that he looked “impeccable. . . tall and confident . . [with] distinguished silver hair” before noting that Scheunemann reminded her to think “hair plugs” during the debate. Palin speaks highly of McCain and her work, and describes her as “one of the most striking women I’ve ever seen,” as well as a version of a 1950s elegant mother. The book doesn’t go into much detail of the relationship between the Palin and the presidential nominee, but she frequently praises McCain, whom she says she had “always admired … for his independent spirit and passion for keeping the homeland safe.” She describes McCain as being “full of inspiring inner joy.” In the closest things to criticism of the Arizona senator, Palin questions McCain’s decision to halt the campaign during economic meltdown (“The VP half of the ticket didn’t know the strategy on that one.”) and also notes that she was kept out of the loop on the campaign’s strategy to pull out of Michigan in October, a decision with which she strongly disagreed. In one of the few exchanges documented, Palin writes of how McCain made the final decision that she would not speak on election night. According to the book, Palin thought Obama was a gifted speaker, but feared “his smooth style would obscure” the fact that he wasn’t saying much. She says the true Obama, the one who associated with William Ayers and Jeremiah Wright, was “concealed in centrist campaign-speak,” but has been revealed since taking office. Palin calls Obama extreme on abortion and argues that Obama got a “free pass” in the Democratic primary when compared to Hillary Clinton. Palin criticizes the media for its treatment of Wurzelbacher, better known as ‘Joe the Plumber,’ while not pursuing the connections between Obama and Weather Underground radical William Ayers. Palin celebrates Joe the Plumber as a symbolic everyman, and discusses at length the inspiration he provided for other supporters. You are currently browsing the archives for the Power & Politics category.